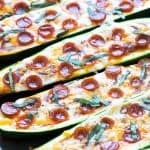 These amazingly easy and delicious Pizza Zucchini Boats are a healthier alternative when you’re craving pizza… and they’re ready in just 25 minutes! Have I mentioned about how excited I am over my summer garden??? Excited is an under-statement. Two weeks ago I planted tomatoes, peppers, cucumbers, eggplant, green beans, lettuce, yellow squash and a ton of ZUCCHINI. We had a good rain a few days after and it is totally thriving (as of now! ). Everyone that knows me well knows my love for pizza. Mercy, it’s one of my greatest weaknesses. 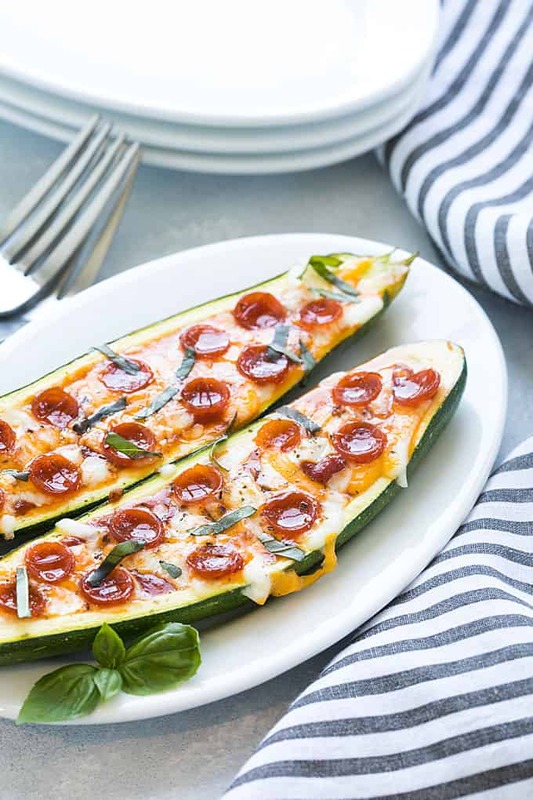 So why not make it healthier by stuffing into zucchini? 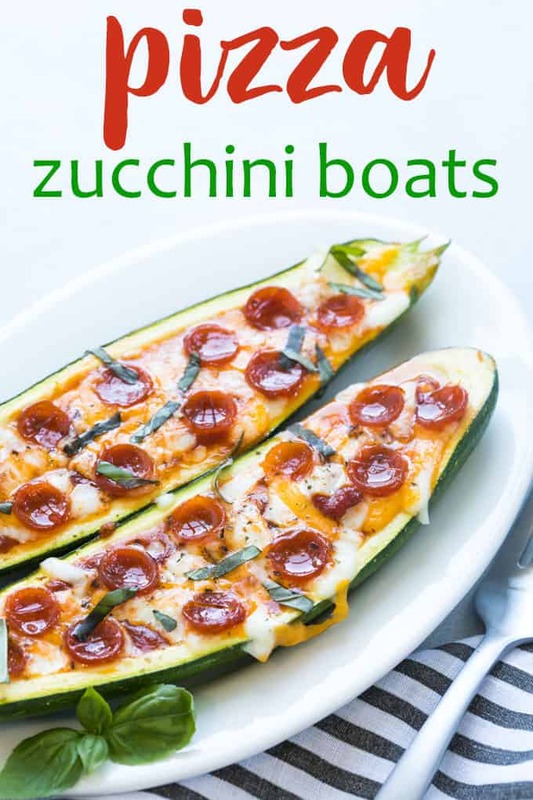 Hopefully soon I’ll be making this recipe using my home-grown organic garden zucchini! 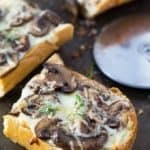 The cool thing about this recipe is that you can easily customize to your personal liking with your favorite toppings. 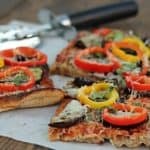 I used my homemade pizza sauce, but if you’re in a hurry use your favorite store-bought sauce. Hooray for warm weather and summer gardening… enjoy! 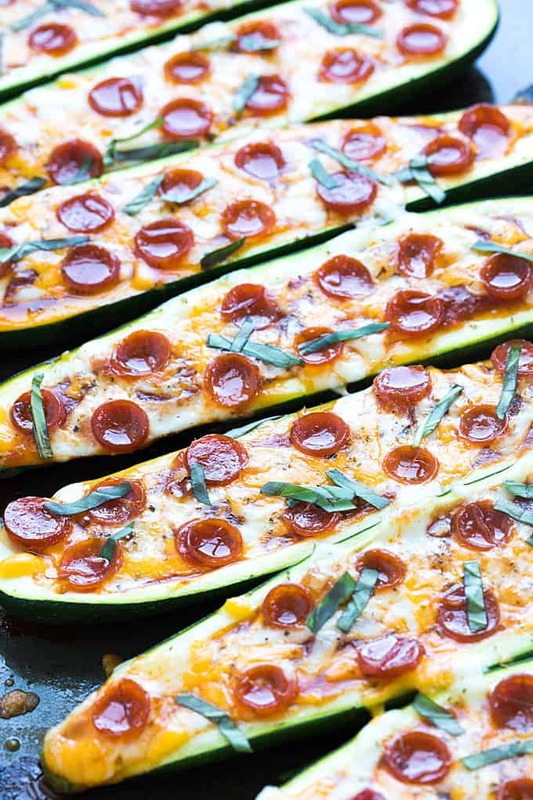 These Pizza Zucchini Boats are so easy to make, low-carb and amazingly delicious. 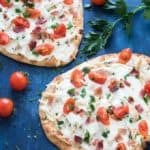 Customize them with your favorite pizza toppings for a healthier pizza night! Preheat your oven to 350 degrees F. Spray a rimmed baking sheet with cooking spray. Rinse zucchini and pat dry. Halve each zucchini lengthwise and scrape out pulp using a melon baller or spoon, leaving about 1/3-inch rims and bottoms. 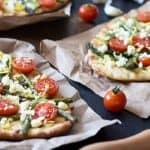 Place zucchini shells on the baking sheet. Spoon pizza sauce into each shell. Evenly sprinkle with shredded cheeses, then evenly sprinkle with Italian seasoning. Top with pepperoni. Bake for 15 minutes. 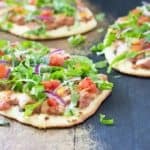 Remove from oven and sprinkle with chopped fresh basil and serve immediately. 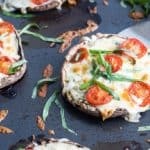 These are perfect for my low carb diet! Delicious! Oh yes, awesome stuff…grill it! 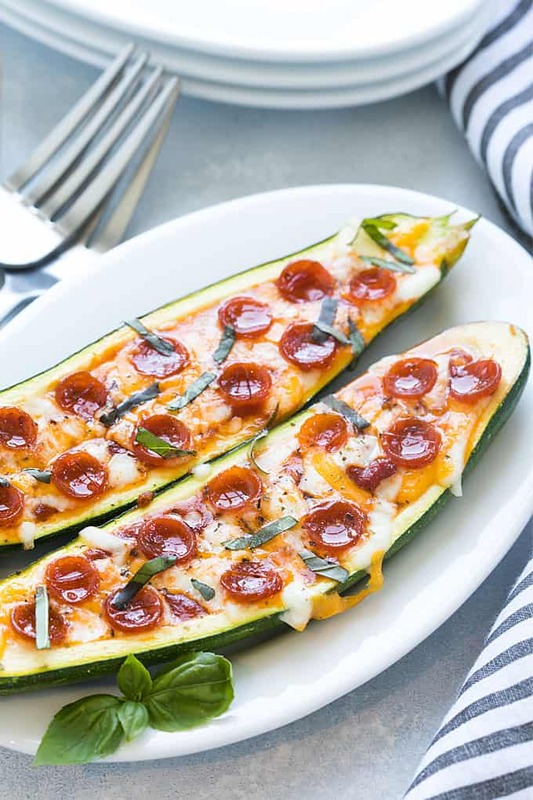 I love stuffed zucchini and it was the only way I would eat it as a youngster lol These look absolutely delish and are making my mouth water! But what do you do with the inside pulp of this yummy veggie? Seems like such a waste..